Those who have been tracking the sales of firearms recently will not be surprised at the accompanying chart, which shows the leading months for background checks based on the FBI&apos;s National Instant Criminal Background Check System. All federally licensed firearms retailers must conduct a mandatory NICS check before completing the retail sale of any new or used firearm, making NICS statistics a solid indicator of firearms sales. This sustained boom in the face of an unprecedented recession is evidence that Americans are sticking to their guns in times of uncertainty. And the boom continues at close to record high levels. The obvious force behind the ranking is the election of Barack Obama as president in November of 2008, the month No. 1 month overall. Fear that a new internationally-minded Administration would support legislation both here and abroad that would limit civilian ownership of firearms resulted in an unprecedented surge in firearm sales that lasted through 2009 and is still being felt in the early part of 2010. 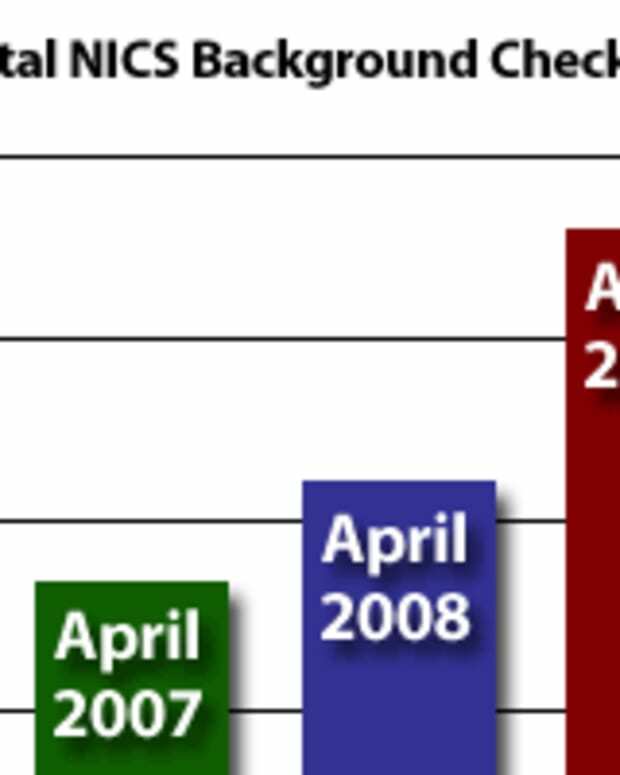 The top six months for NICS checks--and 12 out of the top 17 months--have been since November 2008. 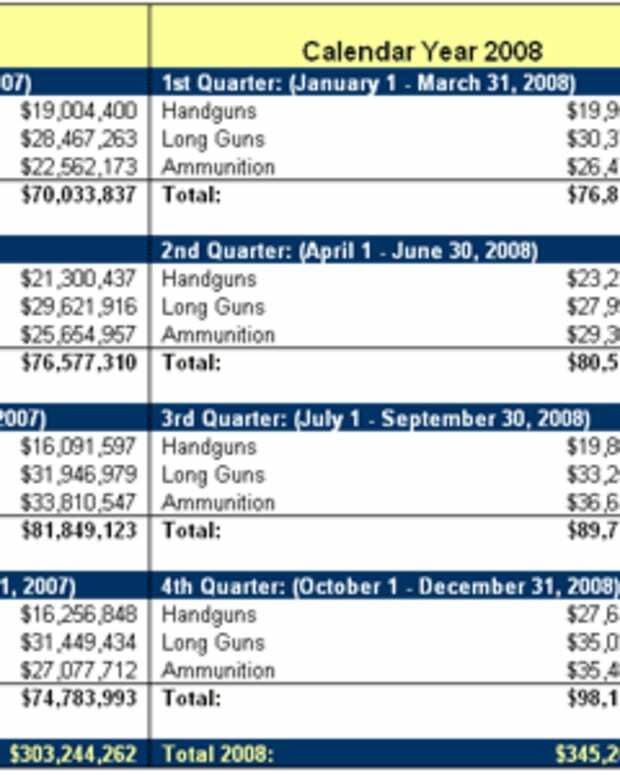 The election’s powerful effect on firearms purchases actually began before the votes were tallied since sales began to spike in October 2008 (No. 15 on the list) in anticipation of an Obama victory and the swing to a less gun-friendly Congress. Other reasons for the seasonal fluctuation of firearms sales? Just as it is for other retailers, December has always been a strong month for firearm retailers as hunting season is in full swing in most parts of the country and there&apos;s little doubt that hunters and shooters enjoy seeing that firearm they’ve dropped hints about during the year winding up gift-wrapped under the holiday tree. Of the top 17 months, December ranked highest in NICS checks six times, including four of the top eight. March is also a popular month for firearm sales, too, perhaps in anticipation of a welcome tax refund from Uncle Sam. 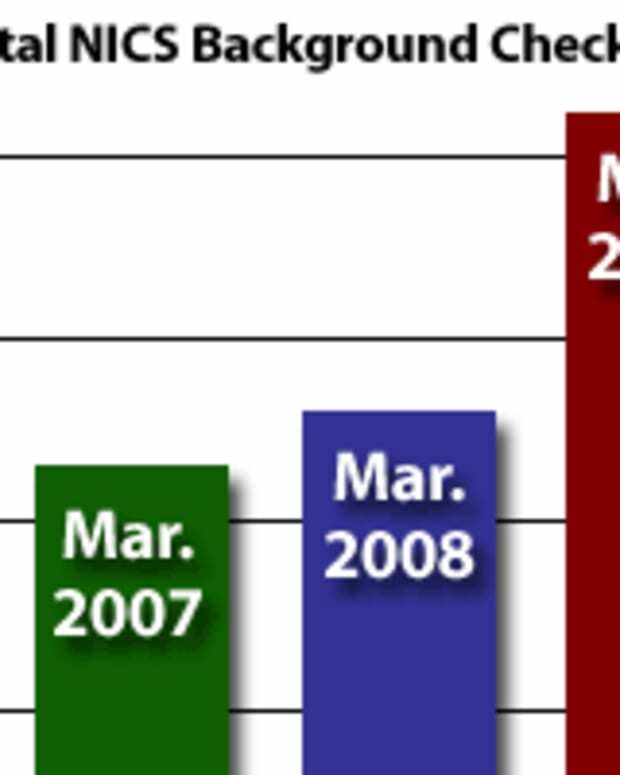 In figures just released by NICS, March 2010 was the fifth highest month ever for NICS checks. So while speculation of just when the bubble will burst for the shooting and hunting industry, firearms sales remain strong in an otherwise weak economy.